RyPN reader Leo Robin found the two pictures below in his great-grandfather's possessions. Of the pictures' origins and dates he knows only that his great-grandfather was in Blue Island, IL in the mid 1890s, and this seems to match the photos pretty well. 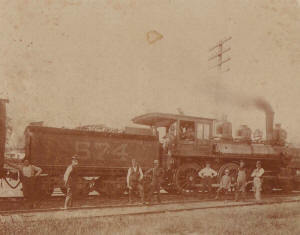 Rock Island 4-4-0 steam locomotive No. 574. Images courtesy of Leo Robin. Pictures are all that is left of Rock Island 4-4-0s other than one (No. 628) supposedly sunk in the Cimarron River near Dover, OK. The Oklahoma wreck is well documented, but the locomotive has not been seen in decades, if in fact it still remains. No. 567 is also rumored to be sunk in the Arkansas River south of Kinsley, KS. The 574 (according to old Railroad magazine roster info) was built by the Rock Island in its own shops, probably in Chicago. Nos. 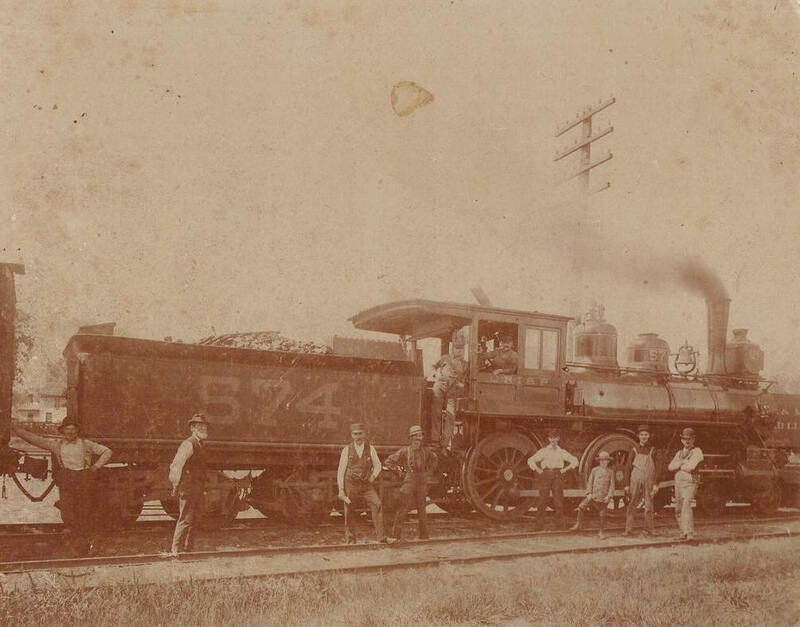 572-584 were among class B-15 (which included many different breeds of 4-4-0s), built between 1887 and 1890, typically with 18x24 cylinders, 68" drivers and 88,700 lbs. tractive effort (the latter which makes no sense, more likely the total engine weight, but even that seems a bit high). It is not known when the engine was scrapped, probably sometime between 1912 and 1933. 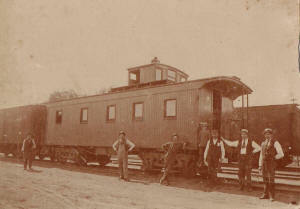 Rock Island 12000 series caboose. Presumably the photo was taken at the same time and place as of No. 574. The caboose is a 12000 series RI caboose built before the turn of the 20th Century. These cars were quite similar to the cars the RI acquired over the first 3 decades of the 20th Century except around the cupola, which was narrower, with only one side window. Note the box between the two end windows, this was a place to display the train number. Also note the single marked atop the cupola and the slight slant of the ladder to the roof. Photos of this age are relatively rare and contain valuable information for railway historians. We strongly encourage other readers who may have, or come into possession, of similar historic photos to also share them with RyPN and our readers.